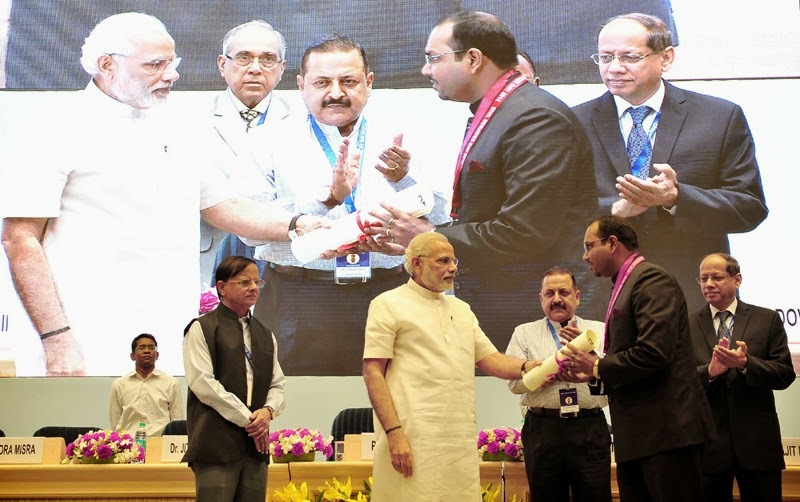 The Minister of State for Culture (Independent Charge), Tourism (Independent Charge) and Civil Aviation, Dr. Mahesh Sharma chairing the 31st Annual General Meeting of the Society of National Council of Science Museums (NCSM), at Pragati Maidan, in New Delhi on April 21, 2015. 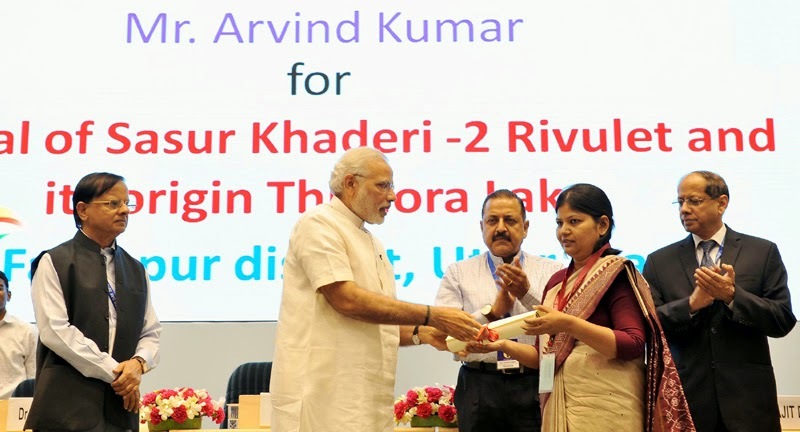 The Union Minister for Rural Development, Panchayati Raj, Drinking Water and Sanitation, Shri Chaudhary Birender Singh releasing the publication at the inauguration of a workshop on solid and liquid waste management (Swachh Bharat Mission), in New Delhi on April 21, 2015. 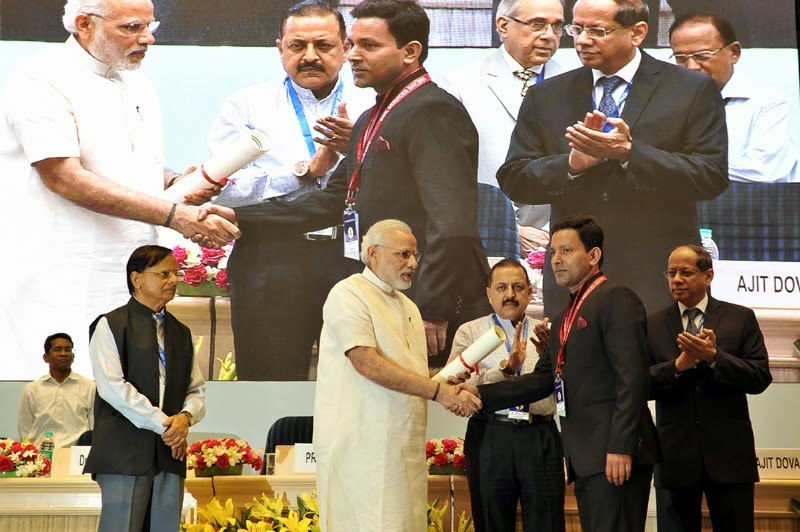 The Minister of State for Drinking Water & Sanitation, Shri Ram Kripal Yadav and the Secretary, Ministry of Drinking Water & Sanitation, Smt. Vijaylaxmi Joshi are also seen. 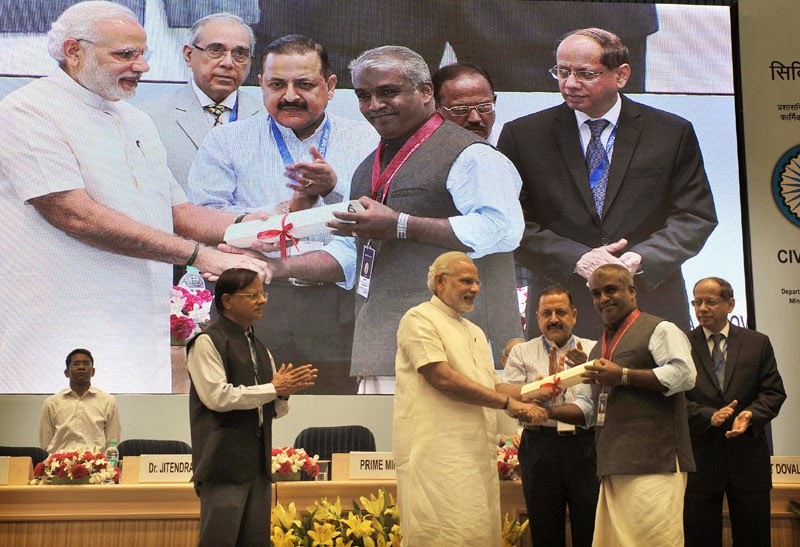 The Union Minister for Railways, Shri Suresh Prabhakar Prabhu launching 'Rail-eSamiksha' for monitoring implementation of budget announcements, at a function, in New Delhi on April 21, 2015. 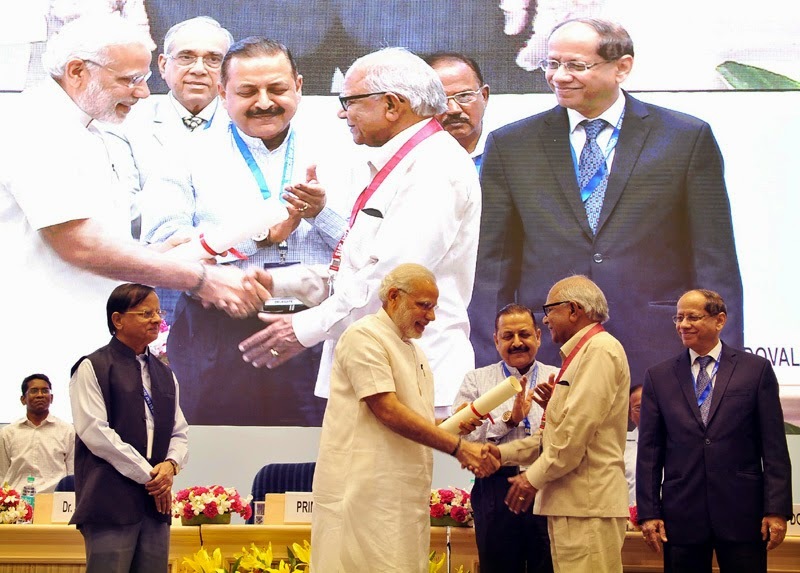 The Minister of State for Railways, Shri Manoj Sinha and the Chairman, Railway Board, Shri A.K. Mital are also seen. 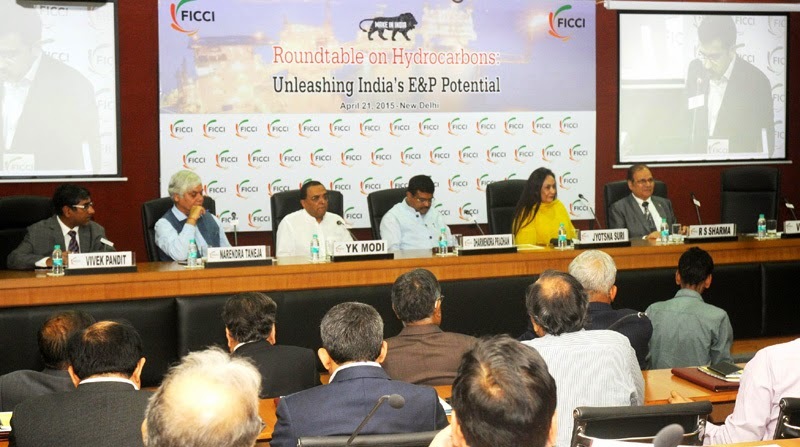 The Minister of State for Petroleum and Natural Gas (Independent Charge), Shri Dharmendra Pradhan at the Roundtable on Hydrocarbons: Unleashing India’s E&P Potential’ organised by the FICCI, in New Delhi on April 21, 2015. 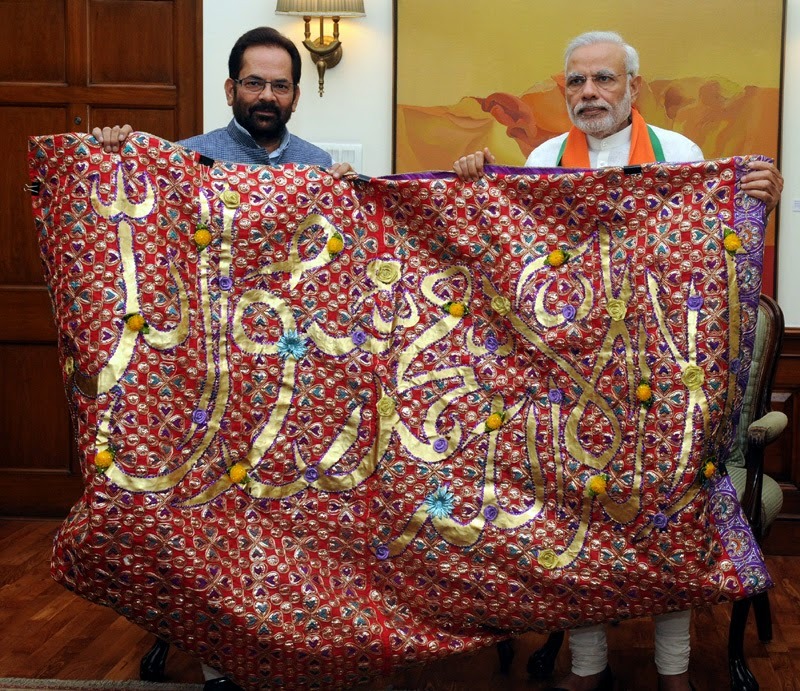 The Prime Minister, Shri Narendra Modi handing over the "Chaadar" to be offered at Dargah of Khwaja Moinuddin Chishti, Ajmer Sharif, to the Minister of State for Minority Affairs and Parliamentary Affairs, Shri Mukhtar Abbas Naqvi, in New Delhi on April 21, 2015. Catholicos and Supreme Head of India Orthodox Church, Baselios Marthoma Paulose II calling on the Prime Minister, Shri Narendra Modi, in New Delhi on April 21, 2015. 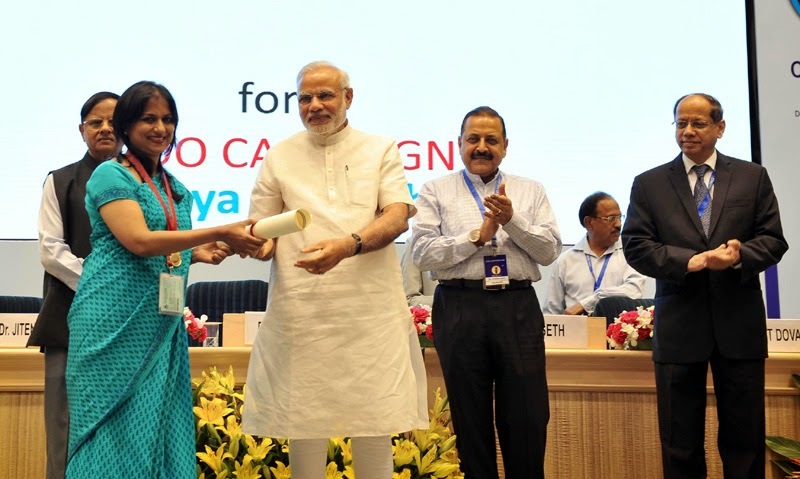 The Minister of State for Commerce & Industry (Independent Charge), Smt. 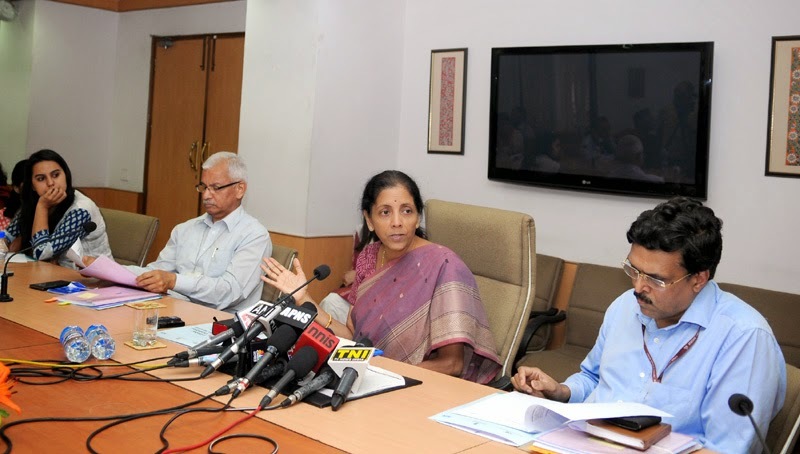 Nirmala Sitharaman briefing the media at the Curtain Raiser Press Conference on GES, in New Delhi on April 21, 2015. 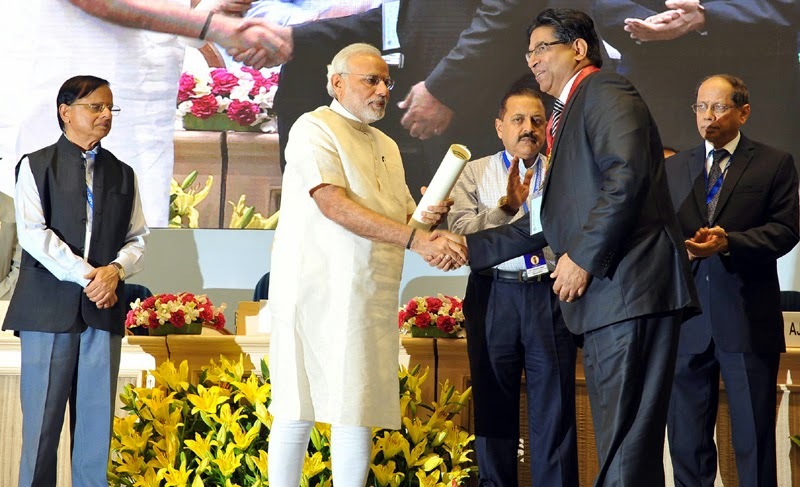 The Commerce Secretary, Shri Rajeev Kher is also seen.